The Industry earned the right to retain their No. 1 spot in the rankings as they edged out a win against Sweet "D" 71-66. GM Derek Adkins scored a game-high 18 points after he sat out last week. Joseph Soto is improving a lot since last season as he scored 17 points going 5-6 from the charity stripe. Marciano Brunette had a great game as well getting himself 14 points on 13 boards. It's going to be another close game next week as they'll face the Lifetime Lakers and will be see the Lakers' Shawn Monegan suit up this time against Adkins' The Industry? Houdini got a giant win against the defending champion Dyme Pieces with a 104-79 final. Michael Carboni and Josh Rollans both scored 21 points apiece, but Charlie Farber had an explosive game getting 18 points and collecting 14 rebounds on 8 assists. It was also a block party for Farber as the veteran recorded three blocks. Brandon Farber (13 points) went 3-5 from downtown Daniel Bower scored 10 points on 7 assists. Houdini has their sights set on the top spot in the rankings, but first up is the SUNZ next week. The Dyme Pieces lost and they lost by a lot, 25 points in fact, to Houdini. They were without their center Jim Reilly and to put it simply, Houdini just couldn't miss. The Dyme Pieces shot 39 percent from the field and Marvin Campbell scored a game-high 26 points. They just needed that rebounding presence in Reilly as they were out-rebounded 46-26. They should bounce back before you know it. Even though the RudeDogs are undefeated, I have to out them at the No. 4-spot based on their strength of schedule. The three teams they beat (Free Agents, Artsakh and SUNZ) are all the bottom three teams in the league. The three-point shooters of Ben Carey and Adam Rellah made a combined 12 3s, while Khalid Cannon is at it again on the defensive side of the ball collecting 20 rebounds. Carey also got himself 17 assists and Nick "Beam" Rainey earned a triple-double of 12 points, 16 rebounds and 10 assists. Nice work RudeDogs. Something didn't click for the Diplomats as they fell by 19 points to the Wynners. All except for one player scored in double figures, but they were out-rebounded and simply turned over the ball way too many times. Jonhston Daniels scored a team-high 18 points while Andrew Power recorded a double-double of 10 points and 20 rebounds. They just need to share the ball more and things will be much better for them. Too easy of a win for the TD Rayguns as they beat Artsakh 93-45. They grabbed 54 rebounds, dished out 27 assists and were simply having fun on the court. Joshua Watson scored a game-high 26 points on 10 boards and 10 dimes, good enough for a triple-double. GM Dominic Pedotto scored an impressive 24 points, going 11-18 from the field and snatched 11 rebounds. As a team, they stole the ball 13 times and got to the free throw line a lot. Now let's see what they can do against the Diplomats next week. The Lifetime Lakers scored the second-most points of the week getting 102 in their win against the Free Agents. Austin Welch was feeling it all game long going 6-9 from downtown and shooting 62 percent overall for 25 points. Chris Mellor played his first game since Week 1 and put up 20 points, while Luke Swearingen played his first game of the season scoring a game-high 27 points. Great work by the Lakers. Job well done by the Wynners beating the surging Diplomats 95-76. GM Nick Guidice is back to his usual scoring game as he put up 30 points dropping in five treys. Matthew Darcel had himself quite the game getting 25 points and shot 70 percent from downtown (7-10). Julian Cohen deserved to be a nominee for POW as he scored 21 points on 11 rebounds. He got to the free throw line five times, making four of them as well as Guidice going 7-8 from the charity stripe. I thought it was going to be a tough game for the Wynners, but I'm glad they proved me wrong. Sweet "D" wasn't so sweet this week as they fell by five points to The Industry. They were without David Farris couldn't get to the charity stripe a lot as they went 2-6. Jordan Kingsley scored a team-high 17 points, while Dylan Ellis got himself 15 points, shooting 54 percent from the field. Kenny Oakley's points have dropped since his week one debut and Sweet "D needs him to deliver in the clutch. They did play a close game to The Industry so you have to give credit to their fight and drive. The SUNZ rely a lot on the 3-ball and it didn't work for them this time around. They shot 8-47 from downtown and fell to the RudeDogs by 45 points. They were simply out-played as the RudeDogs snatched rebound after rebound and gave it to the SUNZ. Juan Rodriguez scored 21 points, while Blake White got himself 15 points. According to their roster, they have plenty of depth and I just want to see more guys suit up and contribute against top-tier teams. Artsakh is sure struggling this season as they lost another game, this time to the TD Rayguns by 48 points, they scored 45 points in all. They're the lowest-scoring team in the league averaging just 50.3 PPG and are in desperation mode at this point in the season. 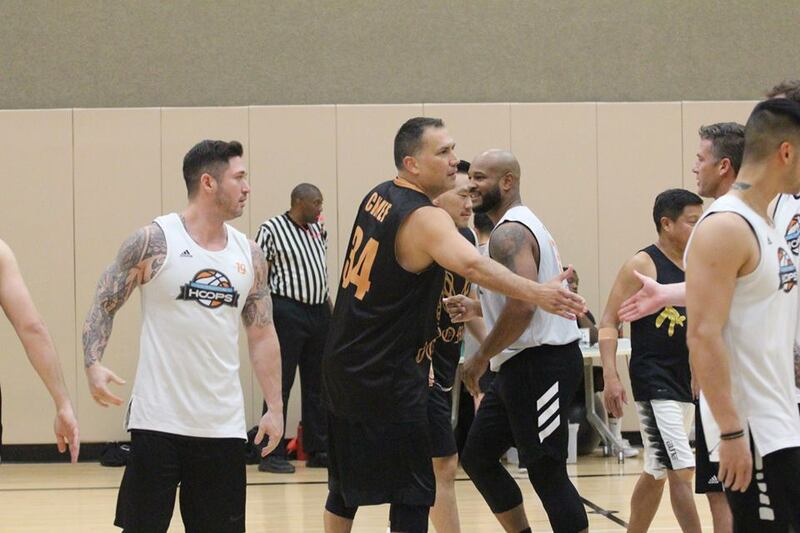 Against the TD Rayguns, Haroutuin Massoyan scored a team-high 23 points and Andrew Sookiassian scored 11 points. That was all the double-digit scorers and things have to be fixed sooner rather than later. Per usual, the Free Agents lose another game by double-digit points, this time to the Lifetime Lakers by 29 points. Joseph Roselle scored a team-high 24 points and went 5-7 from downtown, while the duo of Kevin Vock and Joseph Perez both scored 14 points apiece. The Free Agents will have a decent chance at beating the 11th-ranked Artsakh next week and it will take everything they have to capture their first win of the season. Can Anyone Compete with Recspekt and Ball Is Life?